Tenerife is the most frequently visited island in the Canary Islands archipelago, and with good reason. The island enjoys beautiful weather, has fantastic scenery, and can cater to the needs of any visitor. Tenerife has a wealth of entertainment facilities, and is a popular destination for package holidays. However, in addition to this, there are many sites of natural beauty on the island, which will appear to any nature enthusiast. If you are thinking of booking a resort in Tenerife, be sure to check out the attractions which are detailed below – you definitely will not regret it! This is a nature hotspot of extreme beauty, which helps to dispel the modern thought of Tenerife being stereotyped to package holidays. Teide is home to the third highest volcano in the world, and it is still active. The volcano is located within the Teide National Park, which was designated a World Heritage site in 2007. The park is expansive, with over 73 square miles of land. If you enjoy the beauty of nature, and picturesque scenery, then you should definitely pay Teide National Park a visit. 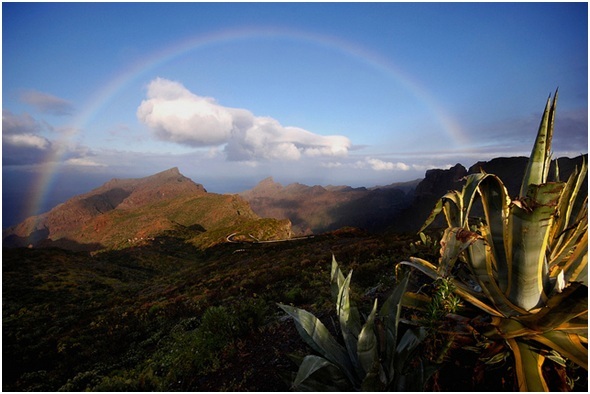 Continuing with the nature theme, a visit to the Valle de Masca is essential for any visitors who enjoy hiking. The site is a favourite amongst tourists and locals alike, and offers many gorges to navigate through an explore. Walkers are rewarded for their efforts when the valley path ends at a secluded black sand beach. This is ideal for those who are looking to get away from the hustle and bustle of large resorts, or those that prefer active holidays. LoroParque is a huge zoo complex, one of the biggest in Europe that is perfect for all the family to visit. The zoo is set in 33 acres of land and has many impressive features. LoroParque boasts the world’s largest dolphin pool show, the world’s largest collection of parrots, and is the second place in the world to host orcas. The zoo is home to many animals, both aquatic and land based. LoroParque also has a wide range of botanical life, hosting a wide species of rare, tropical plants. There is so much to see at the LoroParque, this being one of the reasons it is regularly ranked in the top 3 places to visit when in Tenerife. Siam Park has installed itself as one of the most well-known waterparks in the world, and one of, if not the biggest in Europe. The Thai themed park is adorned with sculptures of dragons, with its buildings displaying some interesting Asian architecture. However, the main reason for your visit will obviously be for some water based entertainment. Saim Park offers rides for adrenaline junkies, such as the Tower of Power, a huge vertical drop water slide. In addition to this, there are plenty of attractions for those who are just looking to relax, such as an artificial beach and a lazy river.